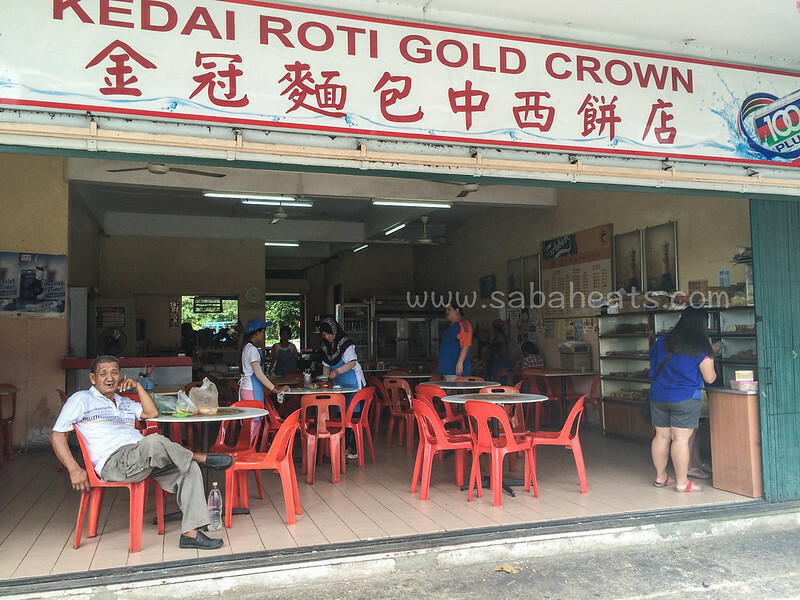 Kedai Roti Gold Crown (金冠麵包中西餅店) serve great variety of pastries and cakes. 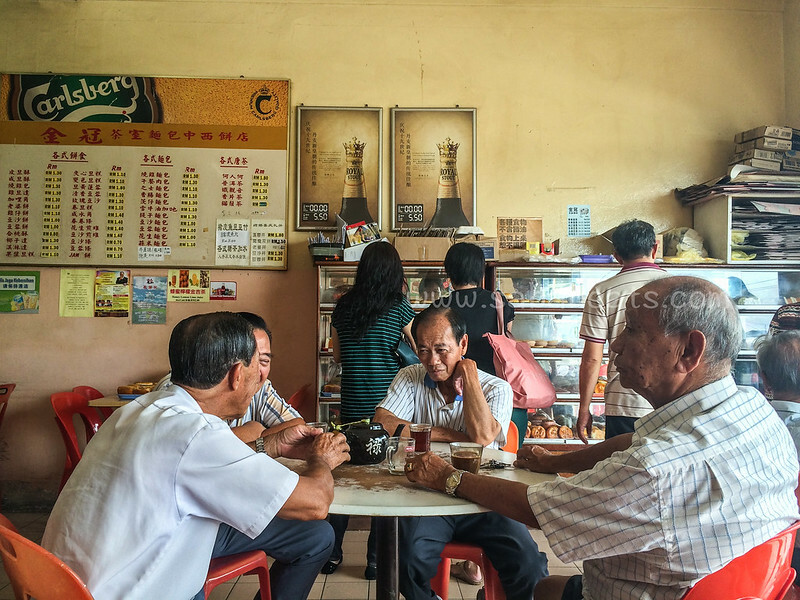 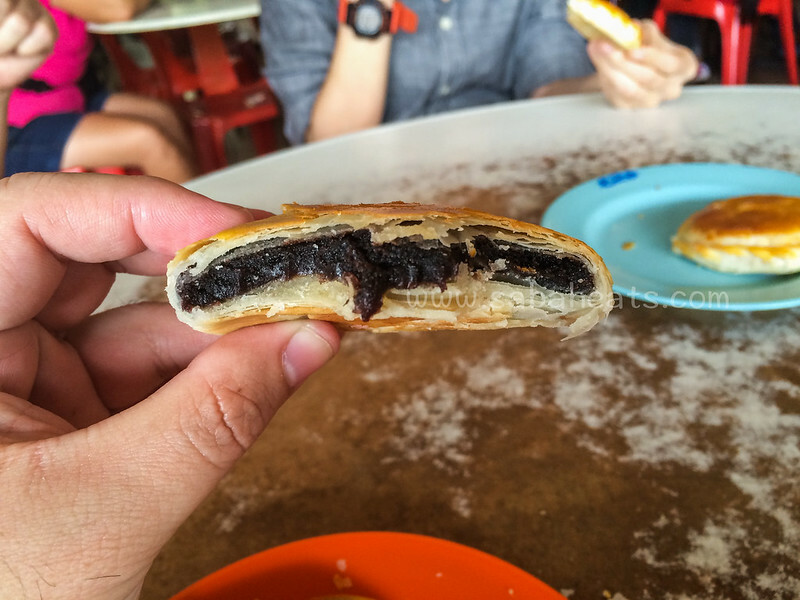 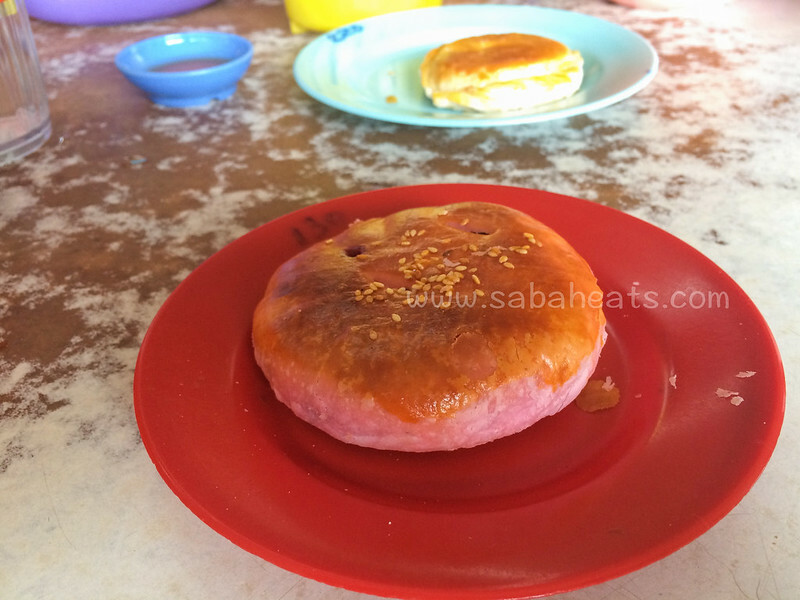 Many locals come here for their famous Tausa Piang (red bean pastry) The shop is located beside Leila Road, at Tanah Merah Area near Sandakan Town. 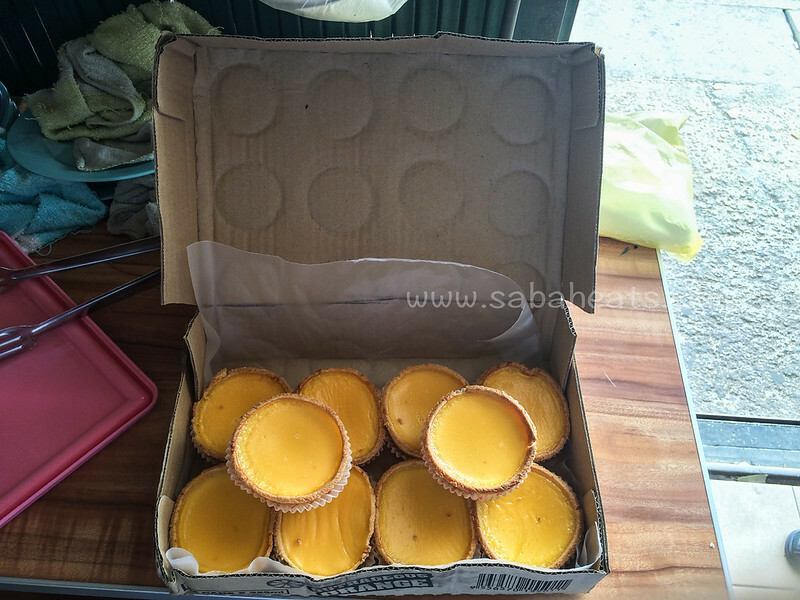 choose the pastries from the shelf and the staff will deliver it to you. 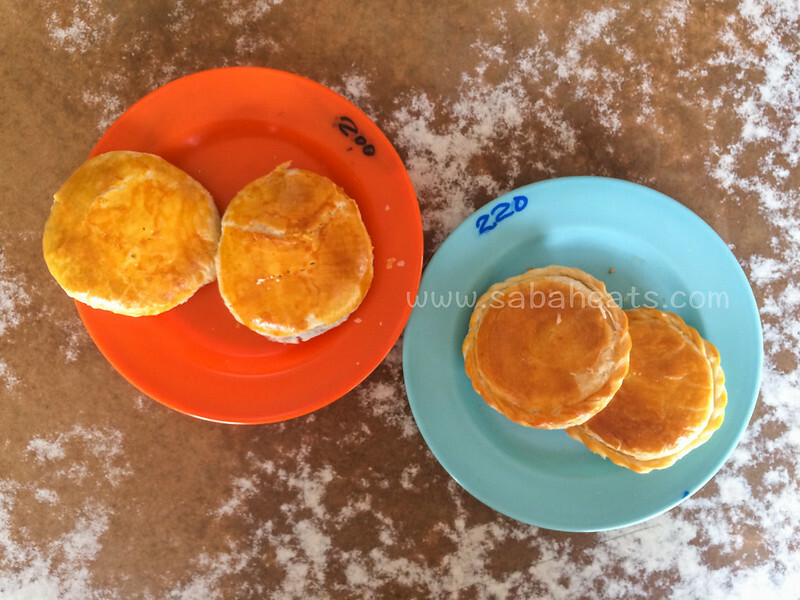 The no on the plate means the price of the pastries on the plate. 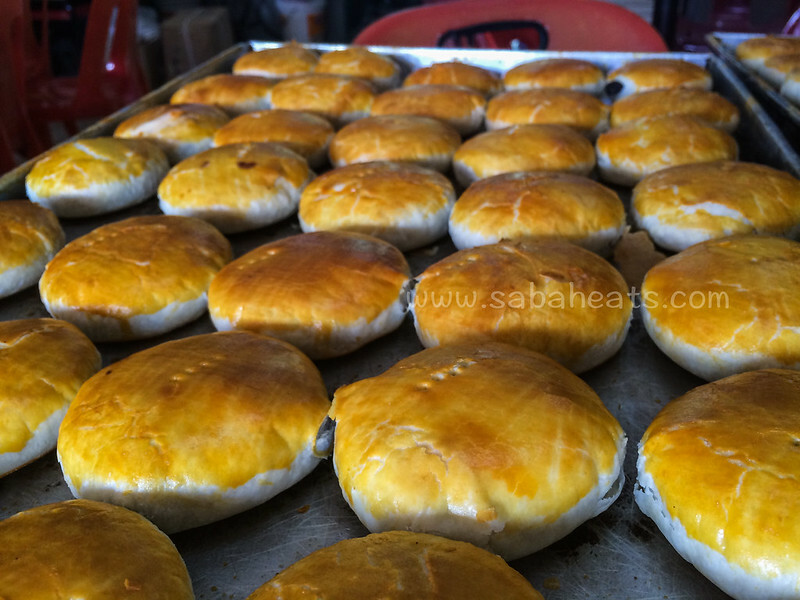 yinyong pastries, which mean a mix of 2 ingredients (winter melon sugar and red bean) This pastries is commonly used as a gift to relatives during the Chinese wedding. 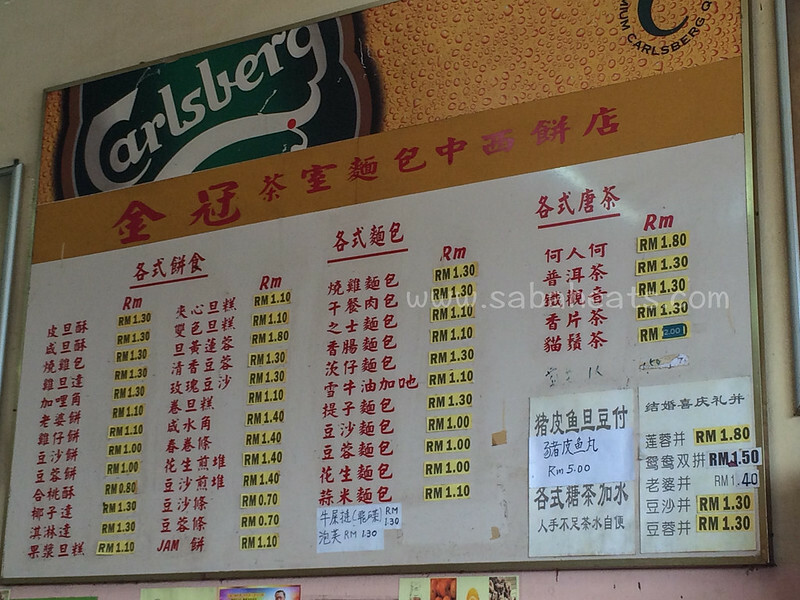 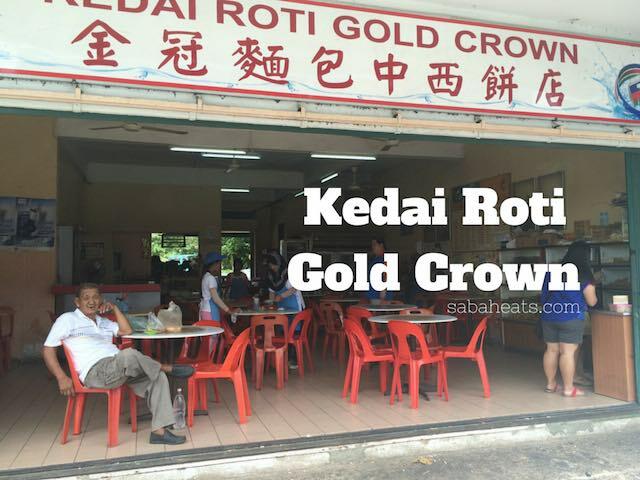 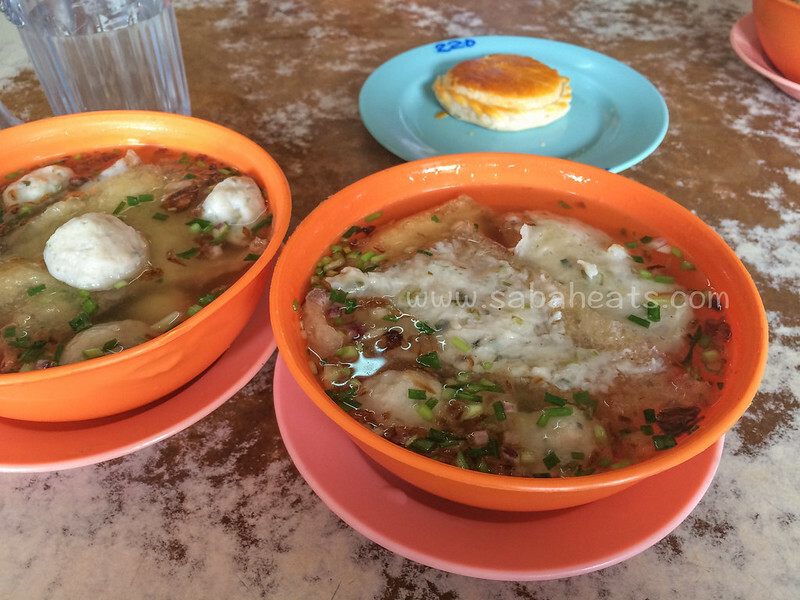 Kedai Roti Gold Crown also serve delicious fish ball, pork skin soup. 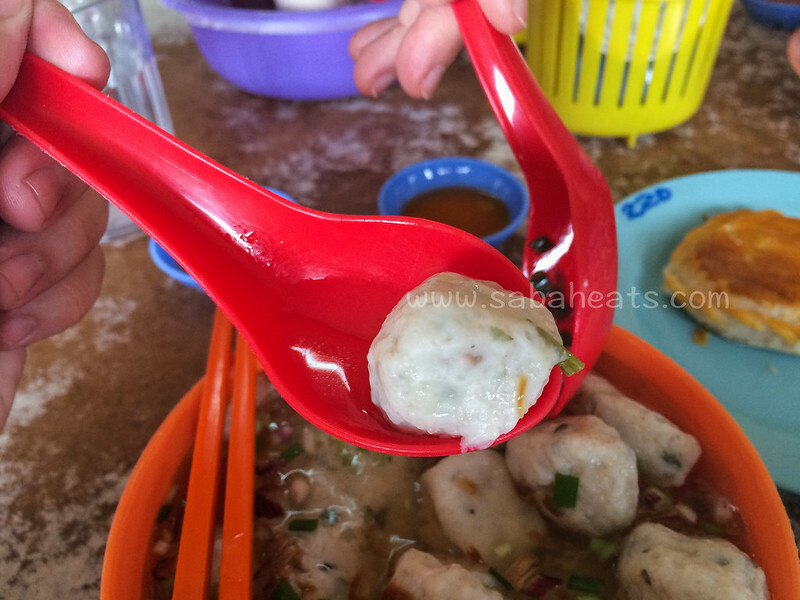 You would not expect a pastry shop to serve delicious fish balls soup but I must say the fish ball is fresh and delicious.